Detroit Wilbert offers a human crematory to Detroit and the surrounding areas. The Detroit Wilbert crematory in Auburn Hills, Michigan is a full-service human crematory. The Clinton Township crematory is also a full-service crematory providing both human cremation and pet cremation services in Detroit and the surround areas. Many cremation choices are available to those who wish to be cremated including cremation urns, cremation urn vaults, jewelry, and cremation mementos. Detroit Wilbert is the area Paws & Remember pet cremation provider serving the Clinton Township area. We provide pet owners with grief support, a trusted network of service providers, pet memorialization products and services, and a respectful, timely coordination of pet remains including handling and crematory services. Visit our pet cremation web page to learn more about our Paws & Remember pet cremation services. 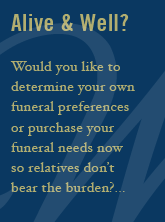 Learn more about cremation and the cremation choices available to you and your loved ones through Wilbert.